Despite similarities between this sculpture and the characters in Walt Disney’s movie The Jungle Book, Fredericks’ disavows any influence from Walt Disney or Rudyard Kipling, the author of The Jungle Book which was originally published in 1894. Fredericks has said that he simply wanted to make a sculpture of a boy and bear because it would be fun. A bronze of this scale can be found in the Sculpture Garden. The Northland sculpture was carved in limestone and the boy is cast in bronze and is gold-plated. 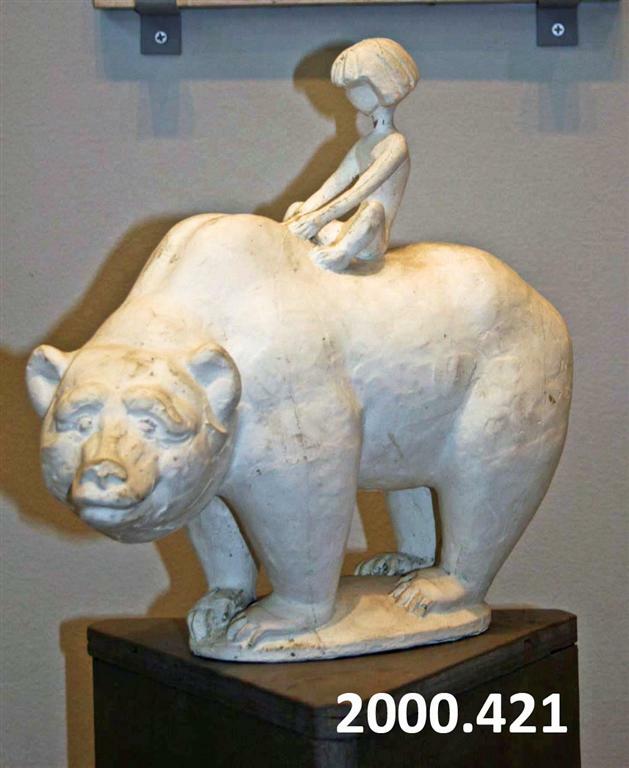 Fredericks, Marshall M., 1908-1998, “Boy and Bear, [Plaster],” Marshall M. Fredericks Sculpture Museum, accessed April 19, 2019, http://omeka.svsu.edu/items/show/6596.